Texas Tribune readers are important to us — that's why we've put you at the center of our mission. Our commitment to you is one reason we’re happy to announce two additions to the audience team: assistant audience director Jonathan Solano and loyalty program manager Sarah Glen. Jonathan has been helping ensure our entire organization has the data and insights needed to make strategic decisions that serve our audience well and has been spearheading expanded revenue opportunities with our distributed audiences. He came to us in May after stints in audience development, analytics and marketing at The New Yorker and FUSION. A native Texan, Jonathan has a BA and an MBA from St. Mary’s University. 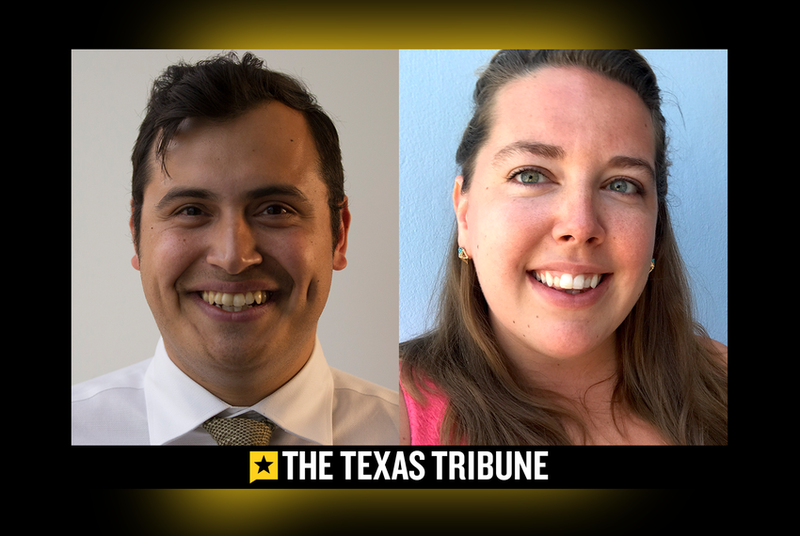 Sarah will develop new opportunities for our most loyal readers — Texas Tribune members, The Blast subscribers, event attendees and other Trib fans — to engage with us and each other on politics and policy news. She joins us from the nonprofit education news site Chalkbeat, where she spent the past four years helping engage educators, school administrators and communities in their coverage across seven U.S. markets. Before joining Chalkbeat, Sarah was a features producer at Digital First Media’s Project Thunderdome. She earned her bachelor's degree in journalism and political science at UNC-Chapel Hill. Have thoughts on how you'd like to see our membership program evolve? Sarah wants to hear from you. Email her at sglen@texastribune.org. Please join us in welcoming Sarah and Jonathan to the Trib!